It’s here – May is finally here! This is the point every year when Bristol really comes alive and we see the start of the arts trails, outdoor music events and food & drink festivals that make the city so special. There’s plenty to do this month and something to suit every budget; the problem is going to be choosing where to go! 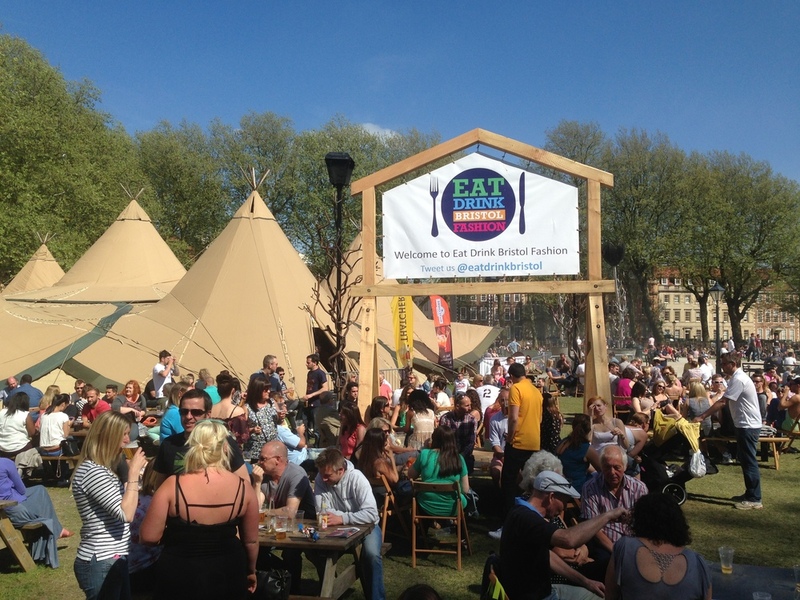 The tipis are up in Queen Square, which can mean only one thing; Eat Drink Bristol Fashion is back! From 1st-18th May you can pop along for some gourmet tapas, or book tickets to attend one of the exciting fine dining experiences both in Queen Square and the lovely Yurt Lush. Many of the events have already sold out but check out their website to see what is still up for grabs. It’s no surprise to anyone who follows me on Twitter that the thing I’m most excited about in May is Food Connections – its aim is to bring affordable talks, walks, trails and other assorted events to Bristol, giving the people of the city a better insight into the food they eat and where it comes from. Sun 4th May: Make Sunday Special – the centre of Bristol is closed to traffic for music, food stalls and frolics. Weds 7th May: A Feast of Film and Philosophy – an illustrated talk at Watershed (£8). Thurs 8th May: After Hours – a ‘multi-sensory feast of activities for curious foodies’ at @Bristol (£7). Thurs 8th May: Folk House suppliers evening – come and meet the people from Severn Project, The Community Farm, Wiper and True and Bristol Pound, as well as eat some tasty food! Sat 10th May: Rum talk and tasting – cocktail demonstration at The Ethicurean (£5). 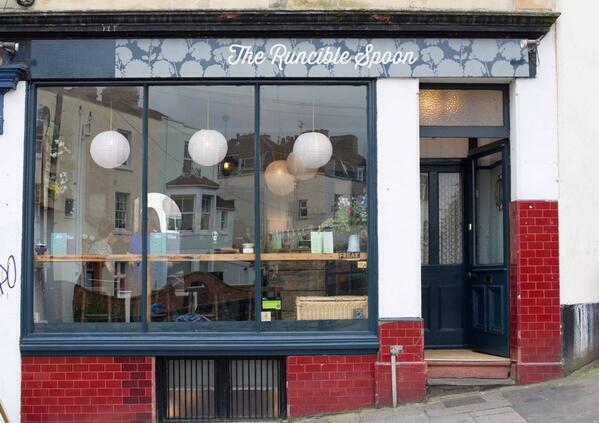 There’s been a low hum of delight in Bristol recently, following the reopening of The Runcible Spoon on Stokes Croft; the menu and interior have been given a makeover and the charming bistro looks like it’s going to better than ever. Another relaunch is that of The Christmas Steps pub in the centre in what used to be The Three Sugar Loaves. The pub opens on the bank holiday weekend and there will be live music and DJs across the three days. There’s a new street food vendor in our midst now too, with the team from Party in my Pans winning a competition to appear at the Grillstock festival; look out for them and their Louisiana style seafood from June! Edible Bristol are brightening up a drearier corner of Bristol with their event on Tuesday 6th May – J3 Market will feature some of the local area’s best food traders and will hopefully be the start of a new run of events for this overlooked part of town. Over in Bath, chins are wagging over the imminent arrival of not just one but two exciting food chains – meat masters Grillstock and Carribean connoisseurs Turtle Bay, the former coming to the city in mid June and the latter following not long after. Independents are still flourishing in the city though, with The Bath Coffee Co. recently opening on Kingsmead Square, cheese and charcuterie bar Culture & Cure arriving on Lansdown Road in April and Society Cafe opening a new branch opposite the Guildhall in May. The Weston is also doing a new Burger & Lobster pop up every Fri/Sat which looks interesting. What sets Bristol apart from many other places is its abundance of community events, the best of which in my opinion are the art trails. The 17th & 18th May see the return of the Southbank Arts Trail across Southville and Bedminster; pick up a map from most bars and restaurants in the area and have a wander. 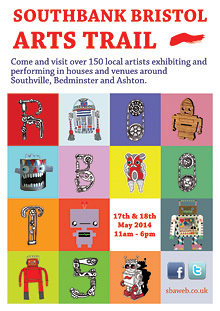 The Easton Arts Trail is also coming up in mid June and is always great fun too, so note that one in the diary as well! Let me know what you end up getting up to and tell me if I’ve missed anything off! There’s just too much good food on offer in Bristol! There is so much happening in Bristol right now 🙂 finally summer is coming and the cider is flowing!! Thanks for the heads up on May events. Your blog is great publicity for a great city to live (and eat and drink!) in. Keep it up. I enjoy finding other places I might not have thought of. What a lovely comment, thank you! It’s very easy to write these posts when so much is going on around the city – if anything it’s just a matter of keeping up!